YA Bound Book Tours: Review Copies Available: The Killer Contract Agency by Jessica Samuels! Review Copies Available: The Killer Contract Agency by Jessica Samuels! 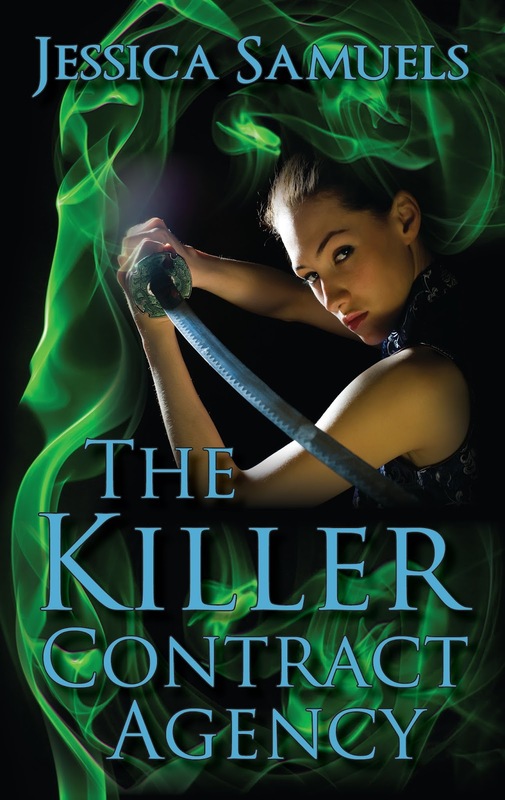 Author Jessica Samuels is offering review copies of: The Killer Contract Agency for interested bloggers. This review tour will run the months of January and February. Bloggers will receive an ebook copy of the book and will have until the end of February to post their review(s) on Amazon and their blog. This is different from a blog tour as there will be no set schedule, bloggers must review on their own time (before the end of the deadline). If you would like to participate, please fill out the form below. Please note that signing up will not guarantee you a review copy. Selected bloggers will be notified by email. Salina Sinclair hunts Malians, an alien species that preys on weak teenagers, making them crazy enough to kill themselves. But after being nearly burned alive by one, Salina is contacted by The Killer Contract Agency. Wielding the powers of The Bracelet and with her mentor, Carter, by her side, she exacts her revenge by taking out the Malians responsible for her near death. But something big is happening with the Agency and operatives are dying. Will she find out what it is before it's too late, or will the Agency be destroyed? My name is Jessica Samuels.I am an author addicted to caffeine, and I have imaginary friends that keep me up at night begging for me to tell their story. I love writing in my spare time a long with reading books since I have been an avid reader since elementary school.